A pre-First World War Peugeot Grand Prix car, a Prinz Heinrich Benz and a Mercedes Simplex are highlights of the Bonhams Bothwell Collection Auction. 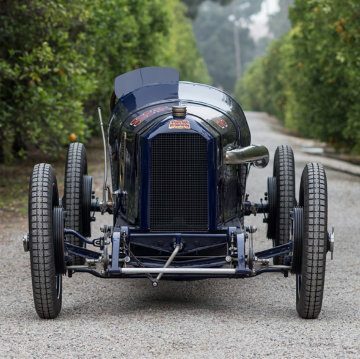 Bonhams will sell around 50 prewar racing cars, automobiles, horse-drawn streetcars and a large number of related spares and automobilia of the Bothwell Collection at auction in California in November 2017. 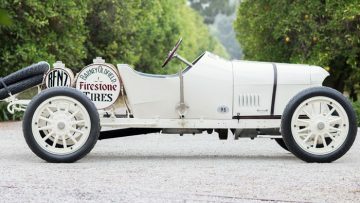 The highlights of the sale will include a 1913 Indianapolis Peugeot Grand Prix racer, a very rare ex-Eddie Maier 1908 Prinz Heinrich Benz, and 1908 Mercedes Simplex Two Seater Raceabout. The Bothwell Collection includes pre-war racing cars, automobiles and horse-drawn streetcars of America’s preeminent collectors and conservators of vintage automobiles – Lindley and Ann Bothwell. Known across America and throughout the world for his passion for early motorcars, Lindley Bothwell, together with his wife Ann, was a charter member of the Horseless Carriage Club of America and, by the mid-1950s, the owner of one of the largest private collections of automobiles in the country. Housed at their ranch property amid manicured orange groves just over the hills from Hollywood, the Bothwell Collection is without equal. 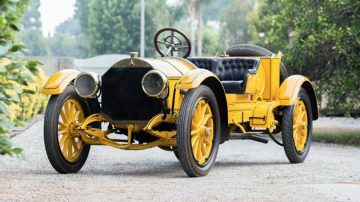 Of the 50 automobiles to be auctioned, perhaps best known are the 1913 Indianapolis Peugeot, 1908 Prinz Heinrich Benz, and 1908 Mercedes Simplex. The 1913 Peugeot 4.5-Liter L45 is not only regarded by many as the father of all racing engines, but this specific car ran in the 1916 Indianapolis 500. Decades later when Bothwell took the Peugeot back to Indianapolis in 1949 to compete in the Veteran Class, he beat Dario Resta’s 85mph lap record at over 103mph – a record that had stood for 30 years! Tremendously historic and full of provenance, the significance of this race car cannot be overstated, particularly when one considers that it was this engine that inspired Miller, Offenhauser and a host of others. It is one of the most original and pure racing cars of this era we have ever had the pleasure of offering. In 1908, the Prinz Heinrich Tour, a famous German race named after Prince Heinrich of Prussia – an ardent fan of the nascent sport of motor racing, was won by a Benz. In commemoration of this, Benz produced a limited series of factory racers and called them Prinz Heinrich models. 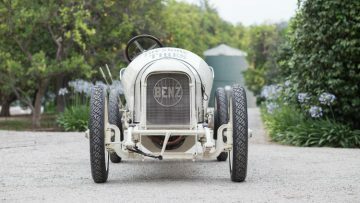 One of just 10 ever created and of fewer surviving, Bothwell’s extremely rare 1908 Benz 105hp Prinz Heinrich is the genuine article and was campaigned in period and then used by Bothwell and friends in historic racing events in the naissance of the hobby. The 1908 Mercedes Simplex 60hp Two Seater Raceabout, said to have been originally owned by William K. Vanderbilt, a prominent racing enthusiast and driver who himself set several speed records in earlier Mercedes cars, is another star of the Bothwell Collection. This landmark Mercedes design would set the model for high performance cars for years to come. Among the other dozens of fascinating automobiles in the collection are examples from Austro-Daimler, Buick, Cadillac, Ford, Hudson, National, Packard, and Pope-Hartford, among others. Bothwell was also a fan of horse-drawn streetcars and even installed over a mile of track on his property to entertain guests while keeping the streetcars in working condition. Five of these restored icons, originally from the city of Los Angeles, will be included in the sale. The Bonhams sale will also include the vast, ever-important collection of spares and automobilia amassed by Bothwell over a lifetime of collecting. The Bonhams Bothwell Collection Auction will be held on November 11, 2017, at the Bothwell Ranch in Woodland Hills, California (just north of Los Angeles), USA. 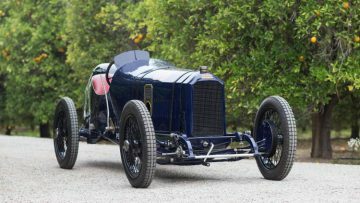 Adds Rupert Banner, Bonhams VP of Motoring, “We are incredibly excited to offer these fascinating automobiles for sale, particularly the early racers. 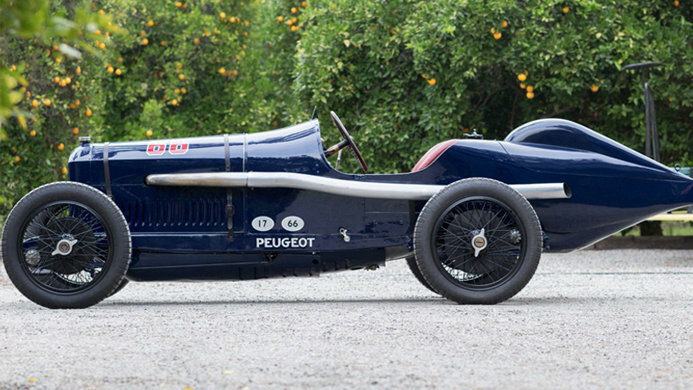 The sale of the sole surviving L45 Grand Prix Peugeot will be a generational opportunity to acquire a landmark car in the history of the development of racing in America and Europe.